herbalife! And now I’m selling it! Here’s a before and after pic of me. 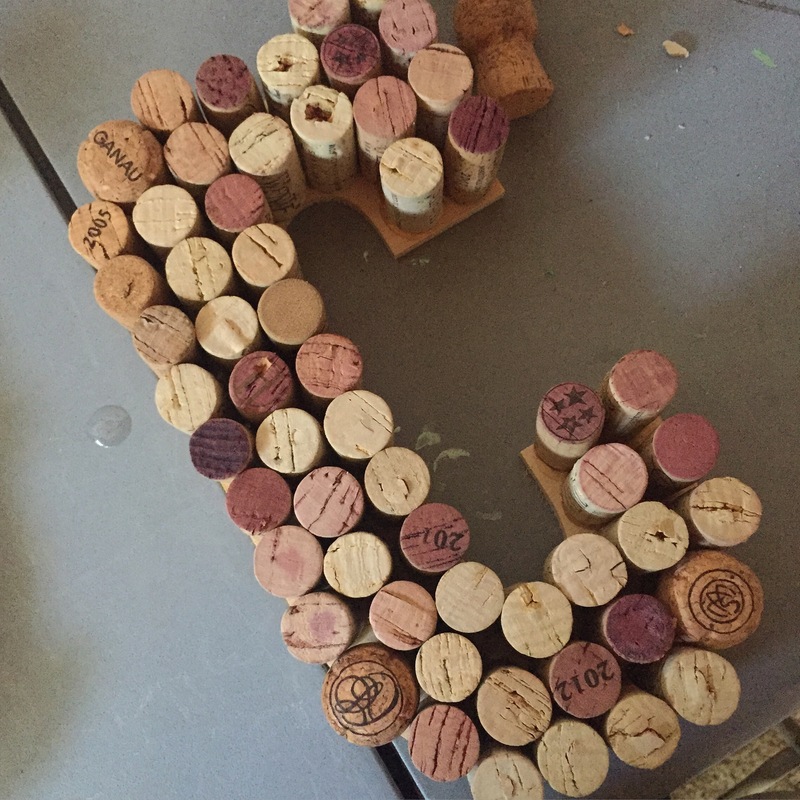 Cork letter Z and C in the works!! 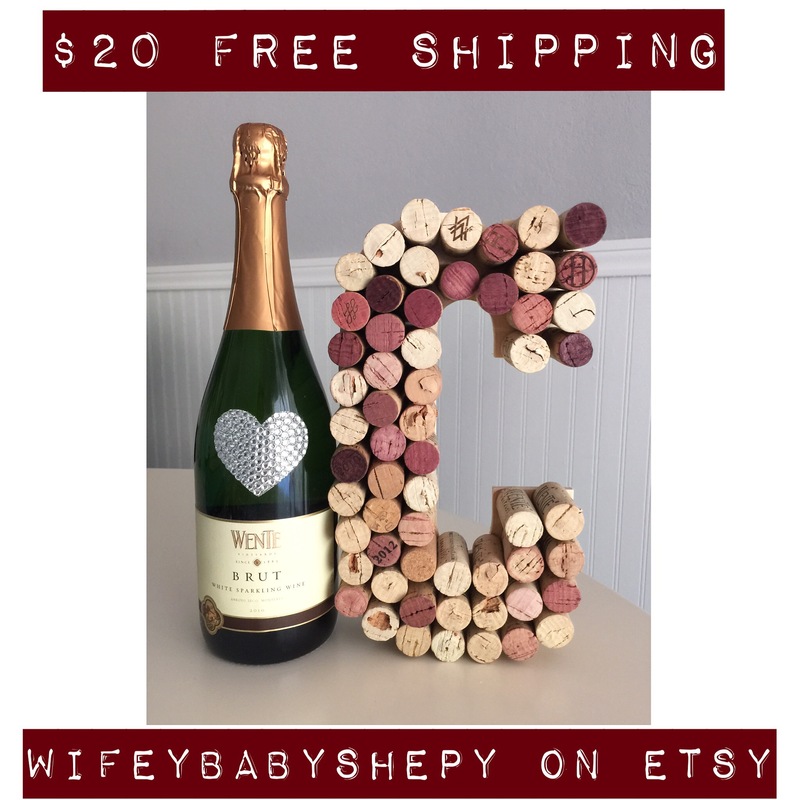 $20 free shipping!!!! Another amazing Deal! 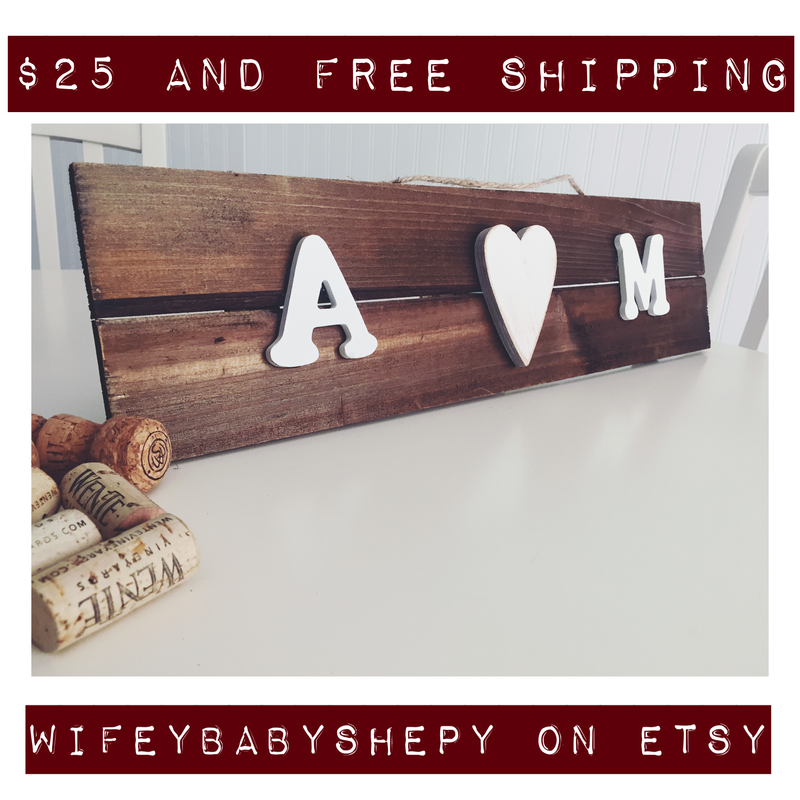 rustic wedding sign $25 with FREE SHIPPING in the U.S.
Only 1 more day of free shipping! Get it now! This sign would be perfect for a rustic wedding! And free shipping? You really can’t get any better than this. The best part is that you can hang it up in your home after the wedding is over. It’s a gift that keeps on giving 😉 look on my etsy page to find other hot wedding gift items. We drink a lot of wine in this house, which is why we have so much fun creating new projects with wine corks. We used these for our wedding and it’s still one of my favorite little details of our special day! And here it is for the Future Mrs. H! I hope she loves it. 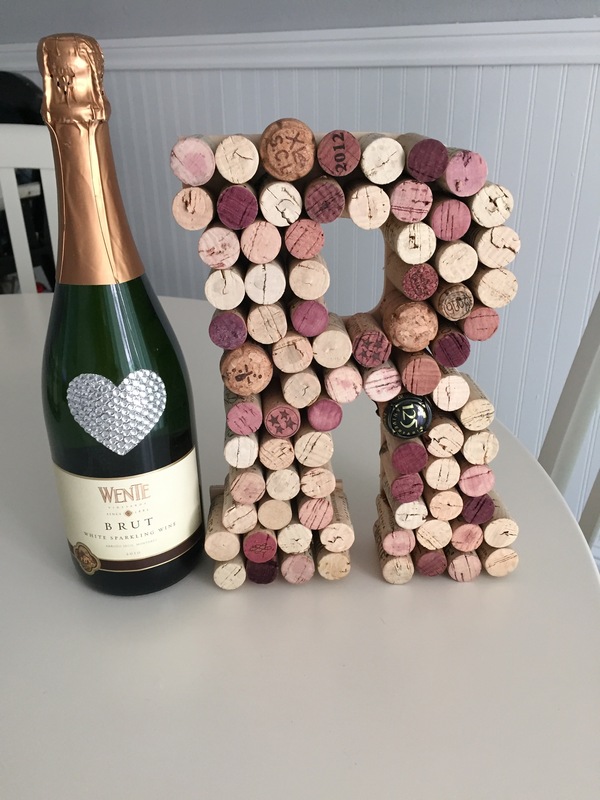 Get your own personalized and made to order cork letter(s) in A-Z. 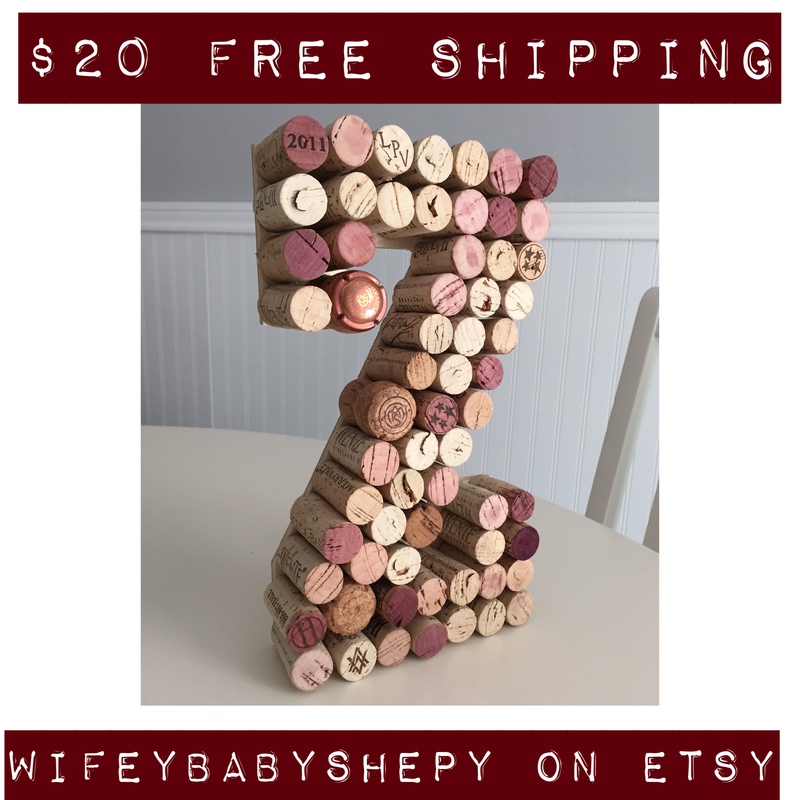 This is a perfect addition to your wine bar or even a perfect gift for the wine lover in your life! Right now it is free shipping (U.S. Only) and only $20!!!!!!! I just opened up an Instagram account @wifeybabyshepy thinking that it would help bring a lot more traffic to my etsy listing.. Um boy was I wrong. I’ve been having a tough time trying to get my name out there and literally only have 32 views on my etsy page since Monday. I have done the promoted listing, I opened up an Instagram. I even promoted myself on craiglist and certain pages on Facebook. What am I doing wrong? Are my prices too high? Any advice would be greatly appreciated. This Sunday, my husband and I plan to go to a 49er vs. Cowboys NFL preseason game. 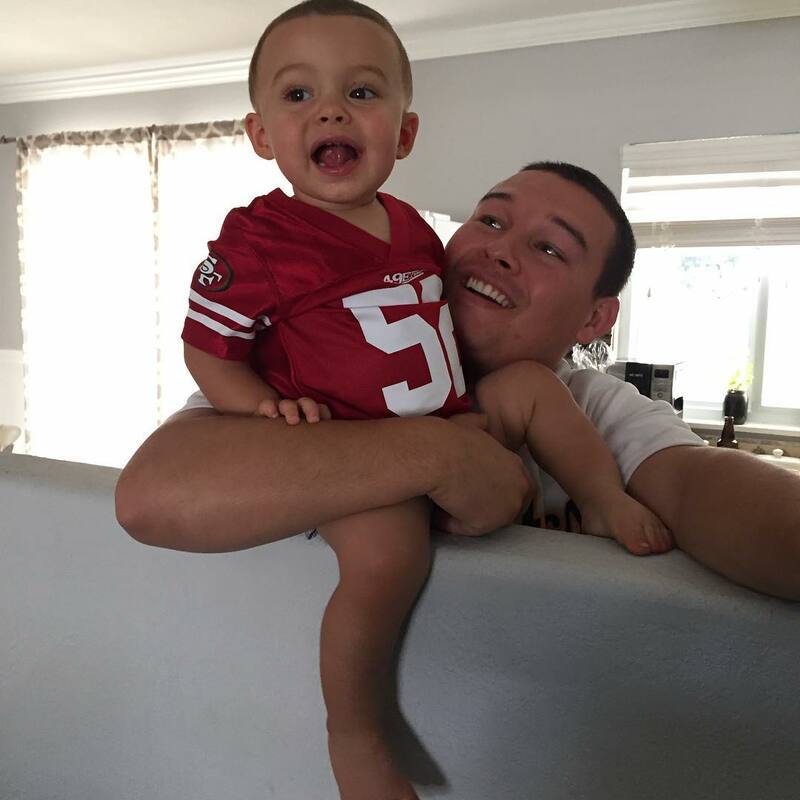 Our son, Carter, is 15 months old and we decided that we should take him to his first football game with us. The only problem is that I am a big 49er fan and Michael is an even bigger Cowboys fan. I remember in elementary school Michael would wear his Cowboys jersey almost every day and I thought he was a loser for it. Why is this a big problem you ask? Well, if we do bring Carter, do we put him in 49er clothing or Cowboys clothing?! What kind of fan would I be if I allowed my son to wear Cowboys gear at a Home 49er game!? 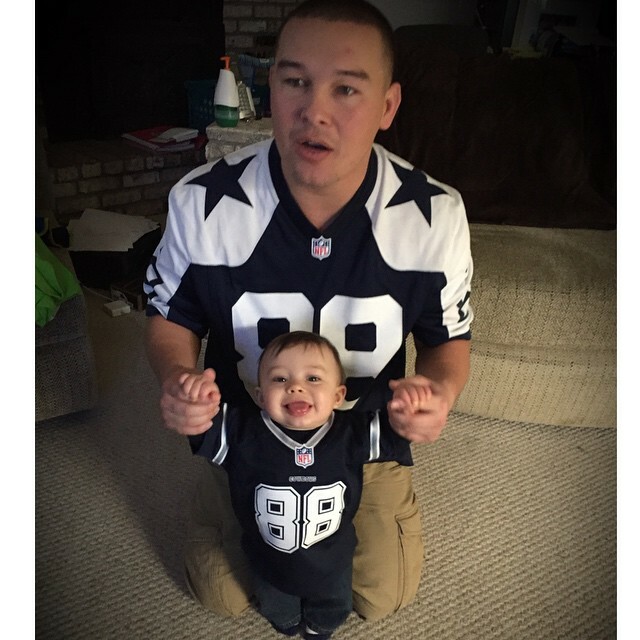 Michael, obviously, really wants Carter in Cowboys gear, which I do understand since it is his son too and it may prevent anyone from trying start a fight with him. Should I just bring both jerseys and do a little outfit change? Here are some pictures of Carter wearing Cowboys and 49er gear. What do you think we should do???? 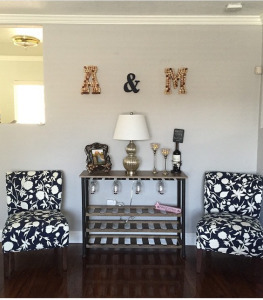 Anyone who knows me knows that I am a Marshall’s, TJ Maxx, Homegoods Freak (I’d like to thank my BFF Coni for introducing me to these amazing stores). yesterday I found a great buy, I was a little too excited for it, considering it’s a cleaning product. Mrs. Meyers cleaning products are my favorite. 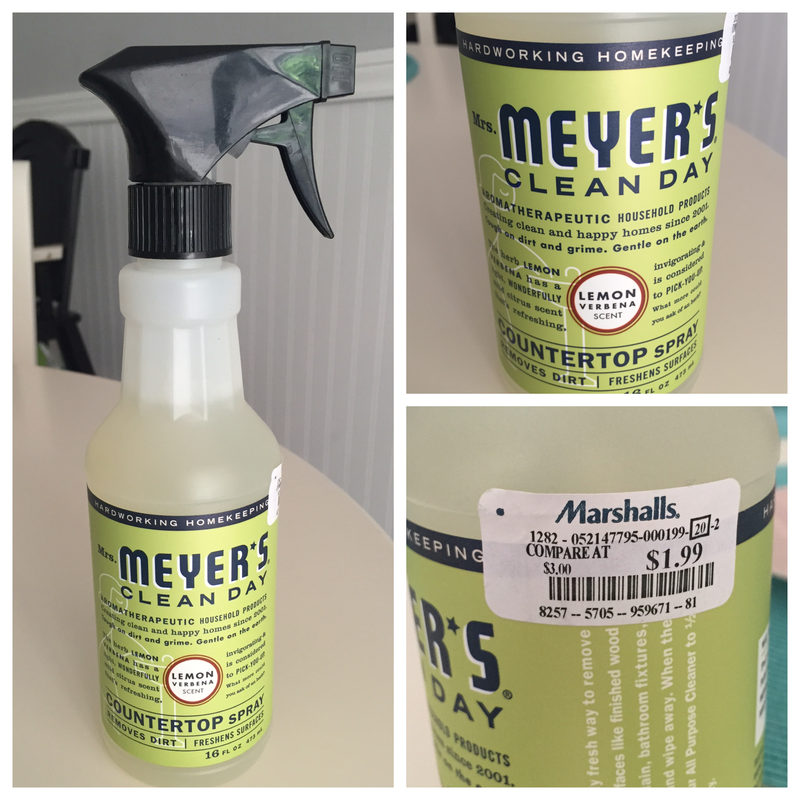 I have 1 year old and I am constantly spraying the kitchen countertops and his high-chair with this product. It is guilt-free and mother approved. This product is free of parables and phthalates, glycol solvents, formaldehyde, and artificial colors. What more can you ask for? I used to purchase the product at Target for $3.99 BUT yesterday I found it at Marshall’s for $1.99! That’s 50% off!! You’re welcome and enjoy! 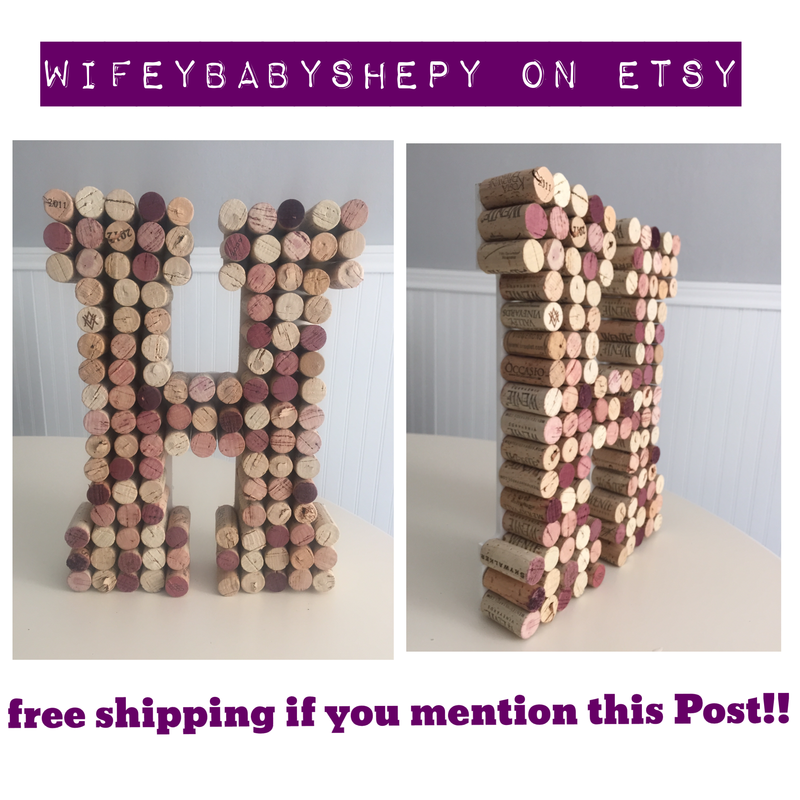 My husband and I made these wine cork initials for our wedding. 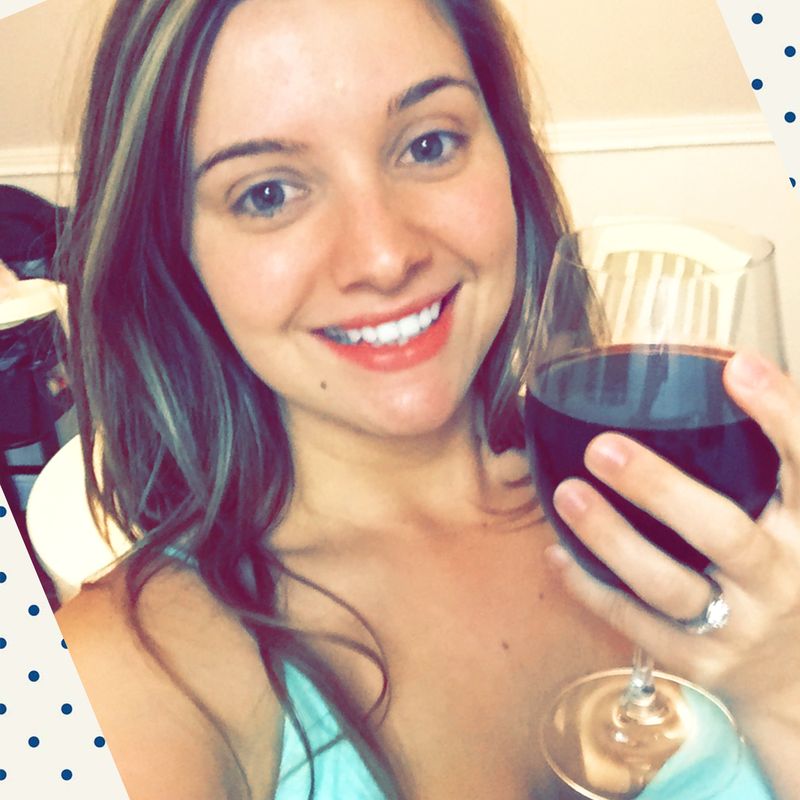 It was perfect considering our wedding was at a local winery. We loved it so much that we had to display it above our wine bar in our new home. I decided why not try to sell these babies?! 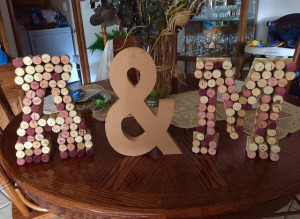 I have plenty of left-over wine corks and me and Michael actually had a lot of fun making these together. So spread the word, share it, like it, comment it, whatever you can do and let me know if you have any questions and if you are interested in purchasing.